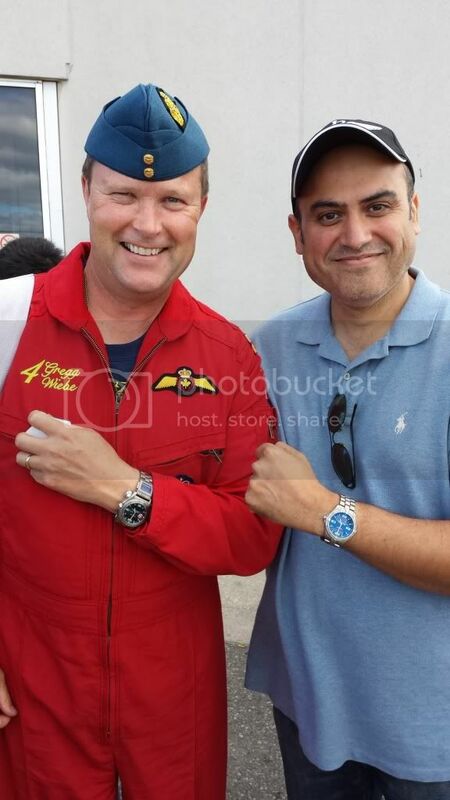 I had the opportunity to meet the Canadian Snowbirds after their performance at the Canadian International Air Show. 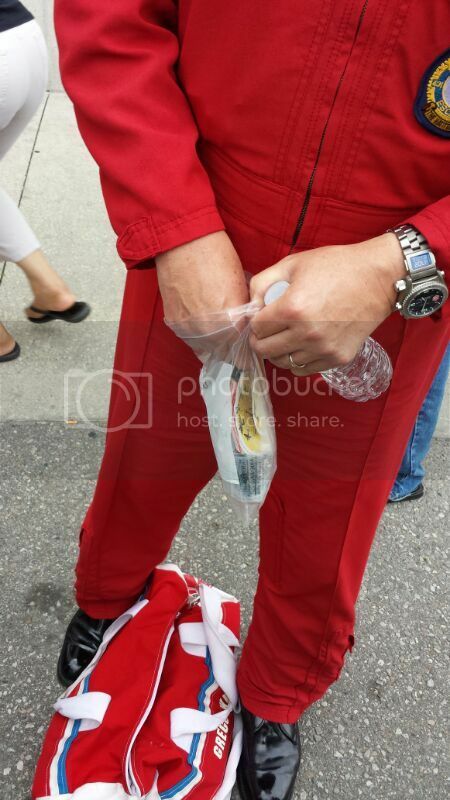 Number 4 Greg Wiebe was wearing his Snowbirds edition Breitling Emergency with Copilot module. He was a great sport and we took the WIS wrist shot. Haseeb !